SRINAGAR:Despite having a huge potential to generate electricity on its own, the state government has spent Rs 38,306 crore in the last seven years to buy power from outside even as the total revenue generated in the same period of time was only a little over 30%, standing at Rs 12,053 crore, owing to massive Transmission and Distribution losses, standing at almost three times more than the national average. As per official figures, during the financial year 2011-12, government spent Rs 3,761.52 crore on power purchases. The revenue generated was only Rs 1200.15 crore. In 2012-13 expenditure on power purchases was Rs 4,103 crore while the total revenue generated was Rs 1,697.16 crore. Similarly, in 2013-14, Rs 4,471.96 crore was spent on power purchase with Rs 1,714 crore as revenue; in 2014-15, expenditure was Rs 5,153 crore while revenue was Rs 1,527 Crore; in 2015-16 Rs 5,293 and in 2016-17, Rs 5,524 crore was spent on power purchase while Rs 1,937.33 crore and Rs 1,877.95 crore were the revenues generated, respectively. During 2017-18, the amount to purchase power increased to Rs 6,000 crore while the total revenue collected was Rs 2,100 crore. In the current fiscal 2018-19, around Rs 4000 crore has been spent so far on power purchase. In order to provide 24-hour power supply to the consumers, the Power Development Department (PDD) has proposed to purchase power Rs 7,325.13 crore in 2020-2021. While the state has done, marginally better in bringing down the Transmission and Distribution (T&D) losses ---the percentage of energy lost in the power grid in the process of transporting electricity from generating stations to points of consumption—from 72.68 percent in 2011-12 to about 61 percent in 2017-18, it is still alarmingly 280% higher than the national average which hover around 22% in the past decade. In 2014-15, T&D losses were 65 percent. In 2015-16 it was 63 percent. In 2016-17 it was 62 percent while in 2017-18 it has reduced to 61 percent. The government has set a target to further reduce T&D losses to 15 percent by 2019-20, which in all probability seems impossible. If, however, by any means, the T&D losses are even brought in line with the national average, we are looking at closing the currently wider gap between the power purchase and revenues generated to a significant margin, cutting down the losses in the tune of crores of rupees every year. The Governor’s administration, however, seems confident of doing better in the power sector, in the days to come. 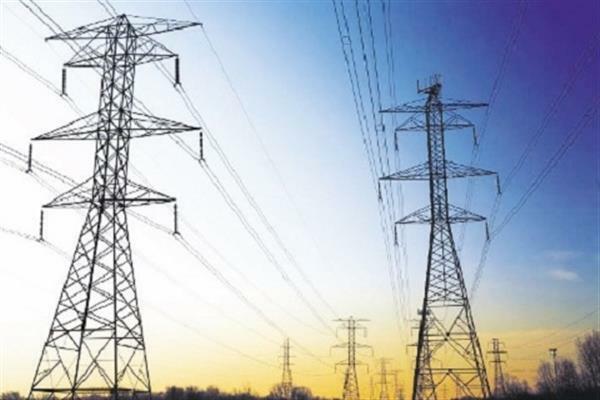 Advisor to Governor Kewal Kumar Sharma on Saturday last said government would overcome the power crisis in J&K to a large extent by 2020 as massive infrastructure up-gradation is going on in this key sector. Sharma asked the PDD to ensure completion of all the infrastructure upgradation projects within the set timeframe so that their benefits reach the people at the earliest. The state’s power liabilities have already reached to over Rs 4000 crore. The state has to buy back its own power from the centre-owned NHPC which generates electricity in the state. Currently there are seven power projects run by NHPC in the State which generates 2009 MWs of electricity. The J&K gets a share of just 12 percent from the electricity that NHPC generates in the state. The state has a total hydroelectricity potential of 20,000 MWs of which around 3000 MWs are being generated. However, being rich in water reservoirs, the state has received minimum benefits from the various power projects that are currently managed by the national power companies in the Valley. An official in PDD said the state is compelled to purchase power from NHPC in absence of its own infrastructure. Official said keeping in view the NHPC investment in these projects, even a 12 percent loyalty is not that bad. Chief Engineer Power Development Department Kashmir Hashmat Qazi said under schemes like Prime Minister's Development Package (PMDP), DeenDayal Upadhyaya Gram Jyoti Yojana (DDUGJY), and Integrated Power Development Scheme (IPDS), the state has now got enough funds to complete their pending projects. “Once the pending projects will complete, it is going to be a huge boost to our infrastructure,” Qazi said.